Smart Stay Hotel Station, Monachium, Niemcy : Rezerwuj teraz! SMARTeconomy: rooms with shared showers, in a dignified bed-and-breakfast style. SMARTdeluxe: spacious rooms with en suite shower/bathtub and toilet, TV (2 star accomodation). 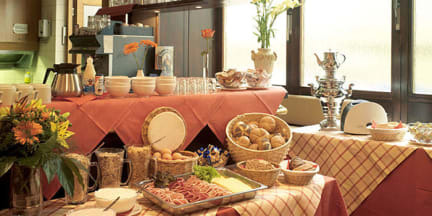 Start the day with our breakfast buffet from 7.00 until 11.00am daily. Kick off your evenings at our hotel trying our specialty Munich-brewed beers and making interesting new friends from all over the world. Our young, English-speaking staff will give you all the important and up to date information you need and add the right spirit to our services. Here we are - waiting to welcome you to our SMART STAY Station Hotel! Please note: Once you completed your booking the 2$ booking fee and 10 % of the total cost will be debited to your credit card by hostelworld. SMART STAY will verify and preauthorize the full amount to your credit card, but we do not charge it! If the card does not work, the booking is NOT valid. PLEASE NOTE: we accept bookings with max 8 people per booking! If we find out on arrival that you avoided this rule (by booking under different names for example) we reserve the right to cancel the contract. 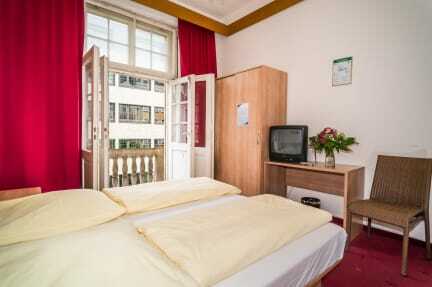 Bookings for whole dorms (private rooms) or groups require a 50 EUR deposit in cash for the room. Payment is due on arrival! SMART STAY will not charge your card, except in case of no show or late cancellation. To avoid that please inform us about changes in your booking or about cancellations at least 24 hours before arrival via fax or email.